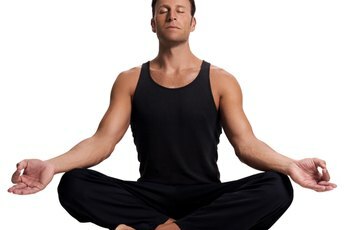 The spiritual aspects of yoga emphasize meditation. If you are drawn to yoga for fitness reasons, good choice! As the University of Maryland Medical Center notes, yoga offers all sorts of potential health benefits, ranging from better heart health to the relief of depression. If you're also drawn to yoga as a spiritual practice, that's another good decision. According to the "Yoga Journal," yoga traditionally has been referred to as a tree, and Bhakti and Jnana are two of its six central branches. 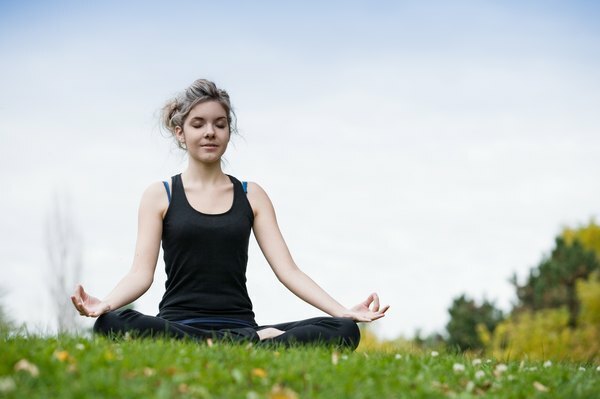 Although each branch has its own unique focus, all branches of yoga attempt to lead you toward enlightenment. If you're into peace and love, Bhakti might particularly resonant. If you're the scholarly type, Jnana might float your intellectual boat. Hatha yoga is something of a catch-all branch that describes a number of different styles of yoga that focus on physical poses, or asanas; breathing techniques, called pranayamas; and meditation. Hatha yoga is the staple of fitness classes. Karma yoga is sometimes described as a path of service. The essence of Karma yoga, according to "Yoga Journal," is that "what we experience today is created by our actions in the past." To create a better tomorrow, do volunteer work or other selfless acts today. Raja yoga is an introspective practice focused on meditation, appealing to people who might opt for a monastic or ascetic life. Tantric yoga is often associated with sexuality, but it primarily focuses on ritual and ceremony. Ironically, serious practitioners of Tantra often choose celibacy. Often described as the yoga of the heart, Bhakti preaches love, acceptance, tolerance and a devotion to seeing and seeking the divine in everything and everyone. Such devotion should be expressed "in every thought, word, and deed," explains "Yoga Journal," citing Gandhi as a leader who exhibited the principles of Bhati yoga. The "Bhagavad Gita," written around the 2nd and 3rd centuries B.C., and known as a "love song to God," is considered the centerpiece of the Bhakti philosophy that spiritual realization can be achieved by developing your connection to the heart. Call and response chanting, known as kirtan, is a big part of Bhakti yoga. The yoga of the mind, Jnana asks you to develop your intellect, largely through the study of scriptures and texts. Jnana is considered to be the most rigorous practice of yoga, requiring the type of serious, scholarly study you might find among Jesuit priests. "Jnana yoga looks into the truth about who we are and what we are experiencing," states the Sanatan Society website. "The full realization of this truth brings enlightenment." Jnana seeks truth that is unchanging and beyond appearance. You'll spend thousands of hours in studying, contemplating and meditating if you get serious about practicing Jnana yoga. Bhakti and Jnana are not opponents. The different branches of yoga are not competitors in a mixed martial arts cage match or pitted against each other like the Yankees versus the Red Sox. The different branches of yoga are not mutually exclusive -- you are encouraged to blend yoga practices in whatever way feels right for you. If you want to use Hatha yoga for fitness, Bhakti to tap into your feelings of love for the world and every living creature in it, and Jnana to deepen your intellectual curiosity about the philosophy of yoga, knock yourself out. The path to enlightenment is many and varied. 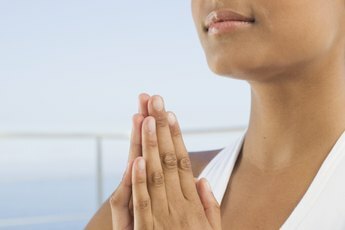 How Can Yoga Affect Your Life?